Montreal, October 17, 2017 – Located in the heart of downtown, the Hotel Y Montreal and Auberge YWCA are two of the few social economy enterprises operating in the city’s hotel industry. 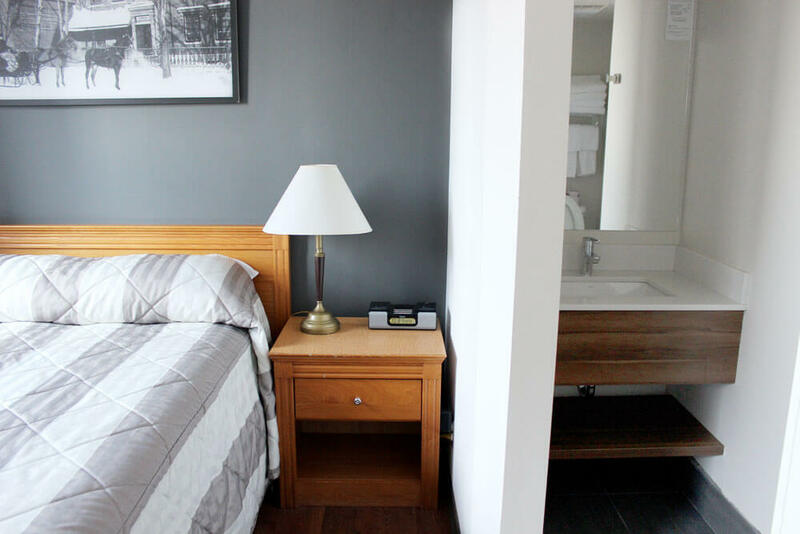 With 62 private, quiet, and inviting rooms, steps away from major tourist attractions, the accommodations not only offer excellent value for money but also help finance the mission of the YWCA Montreal—a community organization that boast one of the longest histories in town. At a time when people are searching for sustainable, responsible consumer options, these two establishments are well worth knowing. They are both a holidaymaker’s dream and a means to encourage social tourism on a local and global scale. The Hotel Y Montreal and Auberge YWCA are ideal places to stay in Montreal and are still largely unknown to the public. Set in a choice location—right in the centre of town, on the corner of Crescent and René-Lévesque—the accommodations are a stone’s throw from the museum district, Bell Centre, restaurants and shops along Sainte-Catherine Street, universities, and other tourist attractions. What’s more, Bixis, two metro stations, and several bus lines are conveniently located at their doorstep, making getting around town a breeze. Both at the auberge and hotel, rooms are private and include access to free WI-FI, a computer room, a shared kitchen, and a laundry room—full amenities for a perfect stay! Tourism That Is COMMITTED to Being Good to You . . . and Others! The YWCA accommodations are among the few social economy enterprises in the Montreal hotel industry. All proceeds are invested in the community via programs and services offered by the YWCA—a community organization that boasts one of the longest histories in town. For more than 142 years, the YWCA Montreal has helped hundreds of thousands of women and girls build a better future. The organization is part of the YWCA global movement, which includes 34 member associations in Canada. There is only one YWCA in Montreal. In 2016–2017, more than 14,000 guests, both men and women, stayed at the YWCA Montreal, generating net revenues of nearly $420,000. These funds are essential to accomplishing the organization’s mission to build a better future for women and girls living in the Greater Montreal area. 80% of domestic or sexual violence victims are women. 45% of salaried women make less than $20,000 per year. 15 is the average age at which minors are recruited into sexual exploitation. 10 times more girls are victims of relationship violence than boys. 82% of single-parent families are headed by a woman. There are no community centres and very few services for families in downtown Montreal. By staying at the Hotel Y Montreal and Auberge YWCA, guests not only enjoy comfortable, affordable, and conveniently located accommodations but they also make a personal commitment to others—they become socially engaged. Share your experience via social media—#hotelY or #aubergeywca—and help grow the movement! The YWCA blog and Facebook page feature testimonials, news, and articles tied to Montreal issues. Follow us for contests and special offers! http://hotelymontreal.com/blog/ and facebook.com/hotelYMontréal. For over 142 years, the YWCA Montreal, supported by its foundation, has fought to end social and gender inequality and exclusion, as well as all forms of violence against women and girls. The YWCA fulfills its mission to build a better future for women and girls by focusing on four areas of action: housing services, employability services, youth services, and community services.